This article first appeared on the?BNEF mobile app?and the?Bloomberg Terminal. Kansai Electric Power Co. and Marubeni Corp. canceled their plan for a 1.3-gigawatt coal-fired plant in Akita, according to the Nikkei newspaper. This adds to the 4 gigawatts of coal already canceled in Japan since last year. 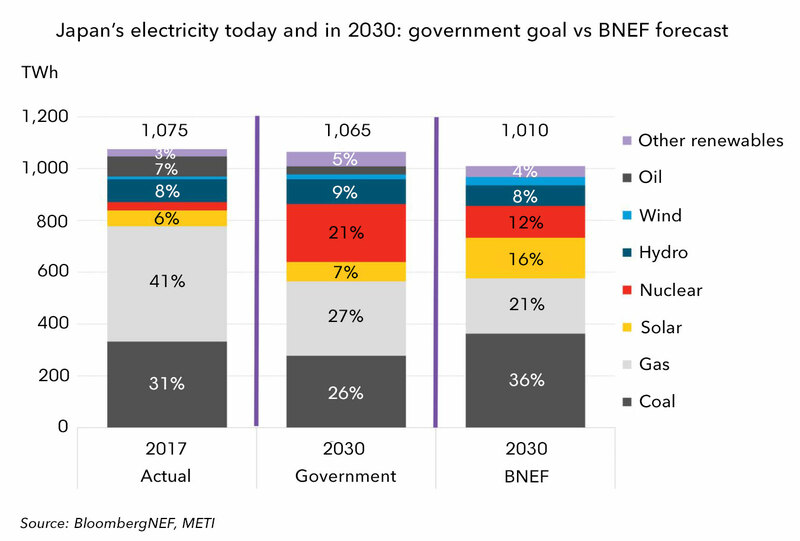 Retail competition and nuclear plant shutdowns led to a push for coal, making Japan one of only two OECD countries with new coal build plans — 7 gigawatts are under construction. However, as environmental pressure escalates, Japan Inc. grows wary of coal. Kansai withdrew its plan for a plant in Ako in 2017, while Marubeni has committed to halve coal-fired capacity by 2030. As BloombergNEF noted in January, the fate of all Japan’s planned coal plants may be decided this year. Despite the pushback against new build, Japan remains committed to coal, which is set to generate a third of the country’s power in 2030. BNEF clients can access the full report, Korea and Japan: 10 Things to Watch in 2019, on the?Terminal?or on?web. BNEF Shorts are research excerpts available only on the?BNEF mobile app?and the?Bloomberg Terminal, highlighting key findings from our reports. If you would like to learn more about our services,?please contact us.